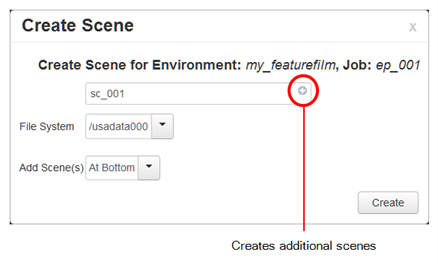 NOTE By default, when creating a new scene or renaming a scene, the scene's name cannot exceed 23 characters. If Unicode is enabled, the scene's name can not exceed 119 characters. Job and scene names are alphanumeric and can include underscores (_), but no spaces, or other special characters. All names are case-sensitive. NOTE Although you can add as many scenes as you want, you can only select one path at a time. Therefore, the WebCC stores all scenes you create in one session at the same place (same path).